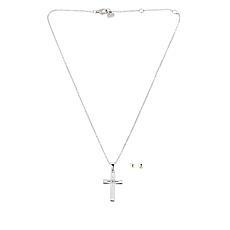 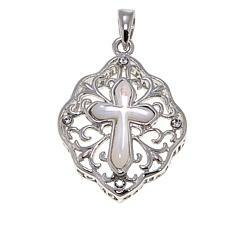 Make a fun, fashionable statement of faith when you accessorize with this pretty mother-of-pearl cross pendant. 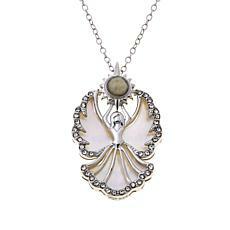 It features white mother-of-pearl shell set in a delicate, silver filigree frame. 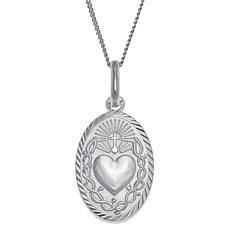 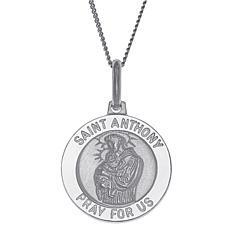 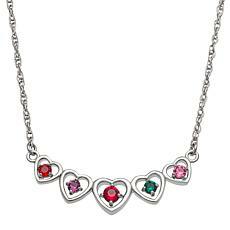 So easy to dress up or down, this polished piece will bring a touch of divine inspiration to any outfit! 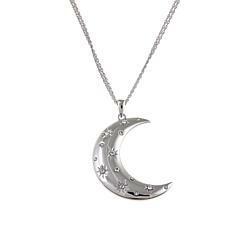 Capture the magic and mystery of a crescent moon with this shimmering, sterling silver pendant-necklace. 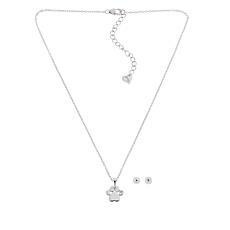 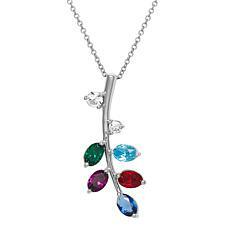 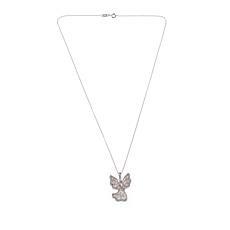 It features a polished half-moon studded with sparkling crystal accents, dangling from a delicate, double-chain necklace. 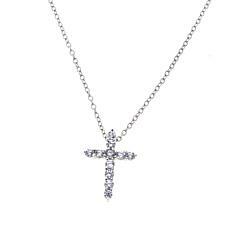 Fun and fashionable, this is one piece that's easy to dress up or down!